Beautifully updated, move in ready home in College Park!! This 4 bedroom 2 bath home is the perfect combination of charming vintage style, mixed with classy modern updates. It features an open layout with split bed plan, original refinished hardwood floors throughout most of the home and double-pane vinyl windows throughout. Anyone can be a chef in this custom completely remodeled Gourmet kitchen which features a KitchenAid commercial style 6 burner gas range and electric steam-assist oven, commercial ventilation for high heat cooking, microwave and KitchenAid refrigerator. Kitchen also boasts Quartzite antibacterial counter tops, Island with reclaimed wood and seating for 4 stools, double stainless steel deep sink, custom wood soft close cabinets and drawers, dishwasher and hidden garbage drawer. Reclaimed wood shelving against a beautiful rustic brick backdrop and 3 skylights above kitchen island flood the area with natural light. Master bedroom and bath and sunken family room are additions to the original home and all have brand new laminate flooring. Master bath is completely updated with double sinks and shower with dual shower heads. Guest bath has also been completely updated. Built in ceiling speaker system and recessed lighting throughout living room and kitchen. Large backyard with patio and storage shed. Freshly painted inside and out. Roof 2008, A/C 2014, Reflect-RC insulation in attic, termite bond and so much more! Close to soon to be developed Packing District of College Park! This property may be under audio and visual surveillance. Lot Size: 0.22 Acres / 9455 Sq. Ft. Directions:I-4 to Princeton St, exit 85, Rt onto E Princeton, Rt on Edgewater, 2nd Left onto Vassar St, house on Left. SchoolsClick map icons below to view information for schools near 1434 Vassar Street Orlando, FL 32804. MFRMLS data last updated at April 19, 2019 11:39:49 AM PST. Home for sale at 1434 Vassar Street Orlando, FL 32804. 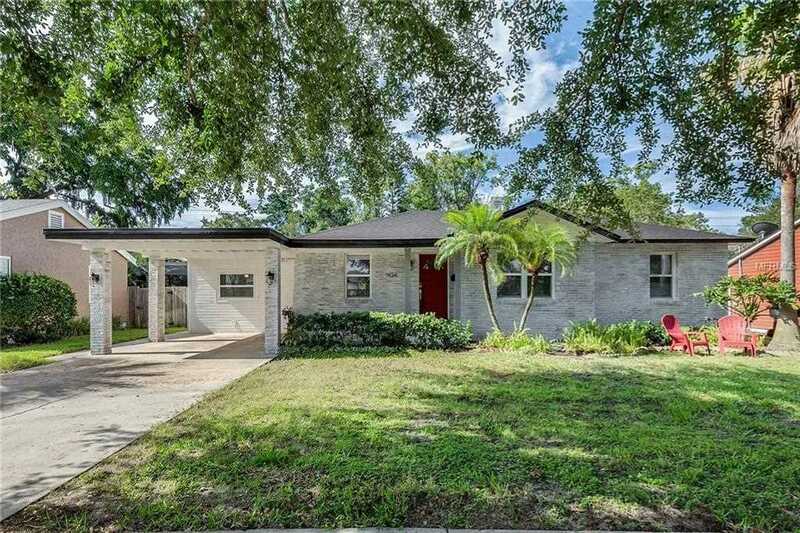 Description: The home at 1434 Vassar Street Orlando, FL 32804 with the MLS Number O5712056 is currently listed at $403,850 and has been on the Orlando market for 318 days. You are viewing the MLS property details of the home for sale at 1434 Vassar Street Orlando, FL 32804, which is located in the College Park Fourth Add subdivision, includes 4 bedrooms and 2 bathrooms, and has approximately 1878 sq.ft. of living area.